To get started online you have to know what you want, what you’re good at or want to get good at, what you can afford, and how hard you’re willing to work. I recently asked you guys what your biggest hurdle is and what you want more information on, and the topic of getting started online came up time and time again, so that’s going to be my focus today. 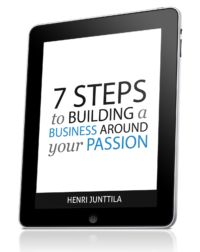 I could give you another step-by-step article, but instead I want to go deep and address the core of why you want to do what you want to do, because this plays a huge role in your success. If you jump in without focus and a thirst for money, you’ll get overwhelmed, jump at every shiny opportunity, and end up frustrated. I know because I’ve been down that road. Get rid of all the shoulds, coulds, and dollar signs. If you don’t follow your passion, you won’t get very far. Sure, you can succeed, but will you be fulfilled? I love writing. I’m interested in building websites, and I enjoy the financial aspect of life. When it all clicked, it was a no-brainer for me to blend them all together and start this blog. If you don’t like writing, there are always other things you can do, such as audio, or video. If you haven’t tried anything yet, then just get started with something. You could always make the excuse that you don’t know what you want, or that you don’t know how, but the information is out there if you’re willing to look for it. It’s up to you to grab life by the balls and get started. Are you good at anything that you love doing? If not, then pick something you want to learn, and become awesome at it. Back in 2009, I remember having read Steve Pavlina’s blog for several years. I didn’t think anyone wanted to read my stuff because they could go to Steve. But later that year, I got sick of thinking like that and just jumped in. I didn’t care if I didn’t feel 100% confident. One year later, I’m receiving e-mails from people on a regular basis thanking me for the content I put out (thank you!). As long as you’re doing something you resonate with and learn as you go, you will succeed. It might not happen right away, but that’s what determination is for, right? Besides, who cares if no one listens to you? Why are you letting yourself stand in the way of doing what you love? Get mad. Get angry. Get furious. Why aren’t you doing what you love? Who or what is really stopping you? You don’t need permission to do what you love, not even from yourself. Times are tough, and you can’t spend cash the way you used to. But the good news is that you don’t have to spend thousands to get started online. Hosting and a domain over at Hostgator is under $10/month. And if you’re like me, you’ll want step-by-step instruction by joining a training program like Become A Blogger that will help you get started quicker. Of course, all the information you need is online, but you know how overwhelming that can be. So around $50/month will get you started and going for the first six months. After that if you’ve worked hard, you’ll be making more a lot more than you’re spending, which is when the fun starts. Not having money is not an excuse unless you’re living on the street. There are always ways of coming up with money if you really want to. If you’re tight on cash, it simply means you have to be more selective about what you spend your money on. This will probably take longer than you expect, but in the end, it all comes down to how hard you’re willing to work. If you don’t think you have a lot of time and energy to put into this, then it might be best to not do it at all. But sooner or later you have to ask yourself what you really want to do, and you have to prioritize what’s really important in your life, even if it is hard work, and even if you might fail. I love what I do, so I don’t see it as work. I’m going to take myself as an example here: let’s say I didn’t know anything about blogging, but I wanted to get started. It really doesn’t have to get more complicated than that. The only reason you’d complicate it is to have an excuse not to get started. If you came to me, asked me how to get started, and I gave you one tip, which you took immediate action on, I’d personally love to help you, because most of the people I hear from want advice, but never take action. I would personally stress the “take immediate action” part. I do believe, as i’m learning these past few weeks, that any action is more effective than waiting for perfect action. The key difference is momentum. Once I actually took the first step, I am more tempted to do a second step (and third, fourth, so on). Henri – you rock. Keep it up! One of my biggest a-ha moments was on exactly taking massive action. It doesn’t matter if you don’t have it all figured out. If you take action, you’ll learn as you go. Most people never get started. Don’t let that be you! I am still in the early stages of a couple different ventures and it is nice to hear some encouragement. I’ve certainly realized that the hard work pays off. Writing content regularly helps build up a reader stream that grows by the week. I’m already encouraged by how much the hard work pays off. Cheers – I enjoy visiting every time. Definitely keep up the content production, and remember to throw some of that content onto other blogs and websites so you get the word out. Glad to see you here, Vernon! Thanks for the advice, Henri. This was a great post. I love how real you are and that you don’t act like you have it totally figured out. I really appreciate the comment “I didn’t think anyone wanted to read my stuff because they could go to Steve.” …… or whomever! But, that is the same thing as saying ….. “Gee, I won’t write that mystery book or that play because the subject has been covered already.” Right? Look at what we would all miss out on! We are all unique. We all have the ability to find our audience. I only follow a few blogs because I like to stay in a minimalist place with what enters my mind. Yours is one. Keep up the good work and thanks for the info on Become a blogger. It looks awesome. Excellent advice! I also find that so many people want to change, but they don’t want to put the effort into taking the steps to make change happen. Anything worth having is probably going to require some effort. It’s like there’s an expectation that whatever you want is just going to magically drop into your lap, when the truth is it takes hard work to really be successful. Something you work hard for brings a much greater sense of satisfaction and accomplishment. Thanks Henri! Agreed! The hard part is getting started, but once you’ve got momentum, it gets easier, and once you start seeing results, you get excited! The encouragement really helps–thank you for your simple, frank approach to helping others. And I really like Jeff’s comment–just getting in the game and taking action is definitely the most important thing. It took me quite a while of lurking and watching online before I finally got in the game–and I have yet to regret taking action over not taking it. I understand extremely well that paragraph you wrote about Steve Pavlina! Not only him, but just about any other person or blog you look up to. Somebody else has most likely said, written or thought the very same things before. I’ve had such moments even when reading some thousands of years old quotes. But always, there will be people who might not read (or even want to read) the “Steve’s version”, but they’d prefer to hear it from you or someone else. Or maybe they read the Steve’s version, but only after reading your version, it all clicked. Good and important things have to be stated over and over again. After realizing that it’s much more easier to get started. The important thing is really to get started. That’s exactly what I’ve realized as well. It doesn’t matter if it has been said already, because no one has said it like you, if you embrace who you are. First of all, thanks for another great post. If I recall correctly (and I do think I do) it was you who showed me that the thing that holds people from taking action is fear. This constant fear. You’ve written how to start online, today. It’s a great piece of advice. Still, as Jeff said, the most important thing is to take action. it’s been a minute since I’ve been here.. how are you? let me go by telling everyone here to heed and take Henri’s advice. Great to see you here! I’m doing great. And thanks for the kind words. I really appreciate it! Action is definitely where it’s at and it really is hard work. Hard work. But fun and completely exciting at the same time. I’m making no money online just yet but I’m learning a lot about building niche websites from Niche Profit Classroom and it’s been fun to learn about all the interesting things that goes into making a website really work. On top of that, I’m still blogging and enjoying that as well as doing some more article marketing and finding that if I just sit down and get to it, I can make things happen. Stay cool and keep writing. It’s funny you keep mentioning that you were worried no one would like your writing. I actually feel somewhat the same way about my writing but can honestly say, you write extremely well and down-to-earth. It’s always awesome to see what you have to say next. 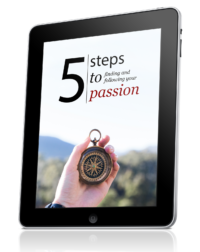 Thanks for helping change the world and btw, I love the Passion Blogging Guide. It rocked and I completely recommend it! Nothing has to be perfect. You just have to take action, and results will come. I couldn’t agree more with that, Eric. Thanks for the the kick in the pants right when I needed it. It’s difficult to make change when your eyes are on a final outcome. So for now, I know I just have to take one action and follow it through- then, as you say, rinse and repeat. It takes time to build up a web presence but by enjoying the experience of writing and creating along the way, we don’t have to get bogged down in all the things we don’t yet know. Thanks Henri! I’m glad you’re enjoying Become A Blogger. It’s a great program, and a lot cheaper than $1,200! And definitely keep me updated. I’ve been searching for people I can learn from face to face, but the problem is that these people travel the world (my dream to travel around the world) so rarely can you find these type of people to work with you. If you are stopping by Hawaii please contact me so I can learn the way from you, also I may be able to help your with your travel in Hawaii!! Why limit yourself to working with someone face to face? It only stops you from getting started. You can do virtually the same stuff online until you find someone who can work with you face to face. Another great post, thanks. I think the number one take away is take action. The number two is be persistent. If you do those two things, eventually everything will fall into place. Or so that has been my experience on my own journey. Hi I am reading all this with great interest. I am a bilingual (German/English) Brit and I’d love to translate for some bloggers or give translation help. Where would be a good place to start? I’m not exactly sure what you’re looking for, but if you want to translate from to and from German/English, then you should try to find people that are interested in that. Maybe check out freelance sites like oDesk.com, Elance.com, or Freelancer.com.